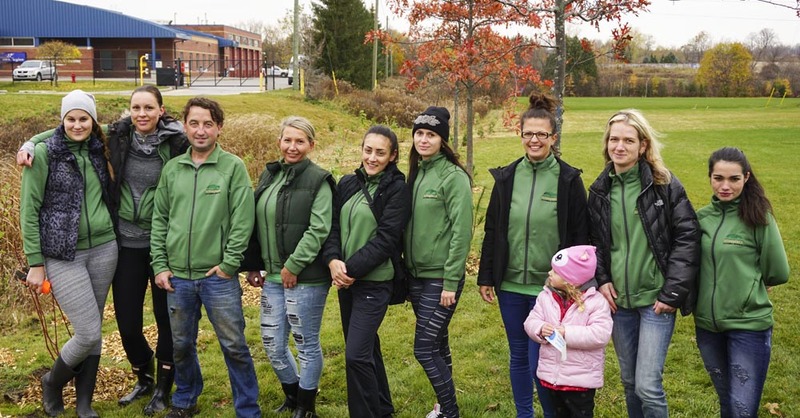 Don’t miss a Video + Photo recap of Ecosparkle’s Green Clean Team as they made good on their promise to plant a tree for every new green window cleaning service booked this season! Earlier this spring, Ecosparkle launched a brand new, environmentally friendly window cleaning service to customers throughout Newmarket, Aurora, the York Region and Greater Toronto Areas. 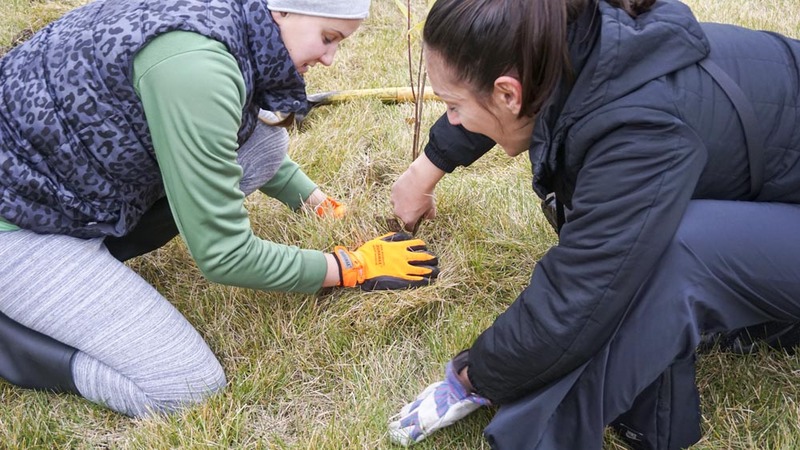 In celebration of this launch, we made a promise to our customers: for every new green window cleaning service booked, we’d plant a tree – right here in our local area. 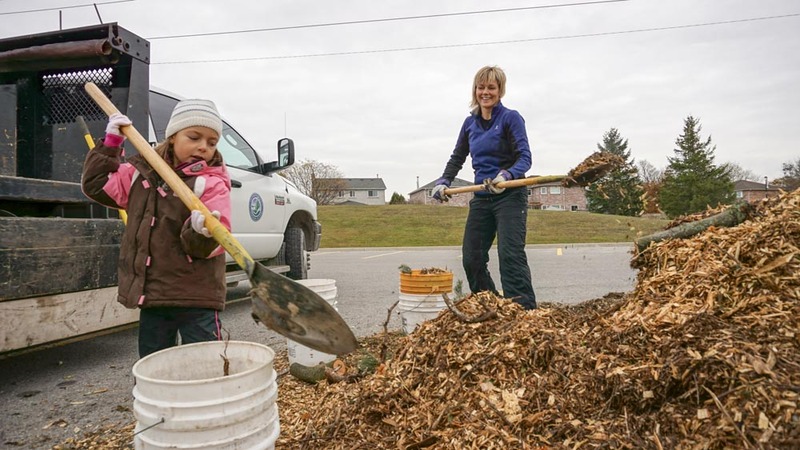 Watch Our Video Recap of our Newmarket Tree Planting Day Below! 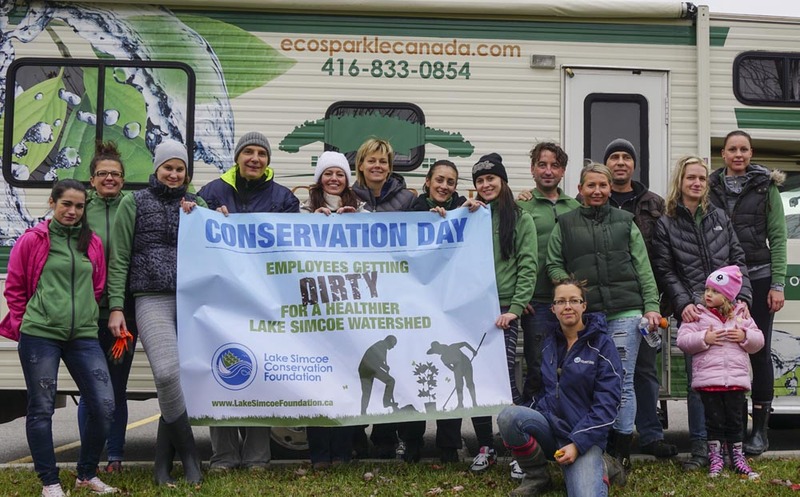 On Saturday, October 31, the Ecosparkle Green Clean Team made good on that promise, with a day of planting in coordination with the Lake Simcoe Conservation Foundation. 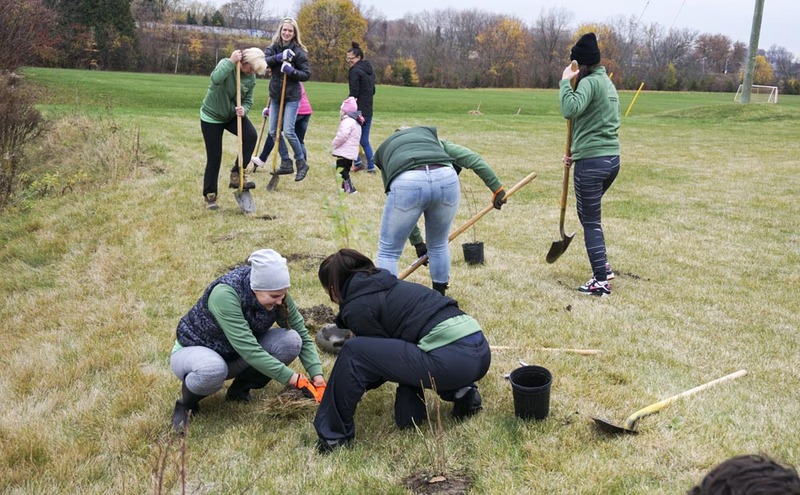 Our whole team, as well as friends and family, came out in support of this initiative – which saw dozens of trees and shrubs planted along a waterway in Newmarket, Ontario. 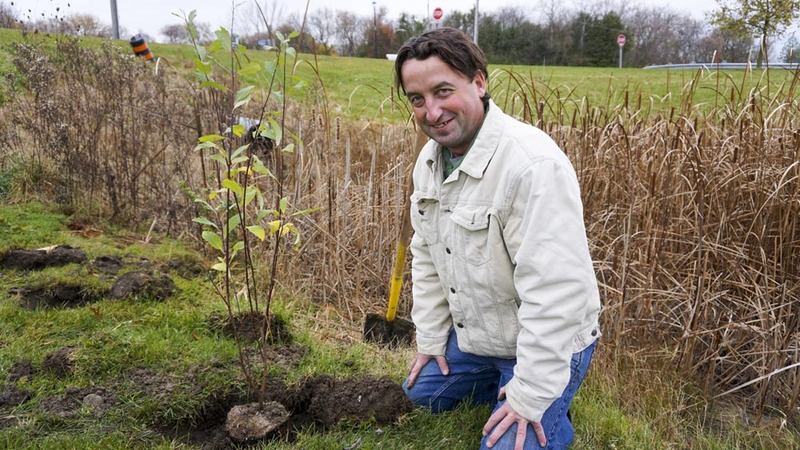 This waterway feeds into the Lake Simcoe watershed – a precious resource for our community. 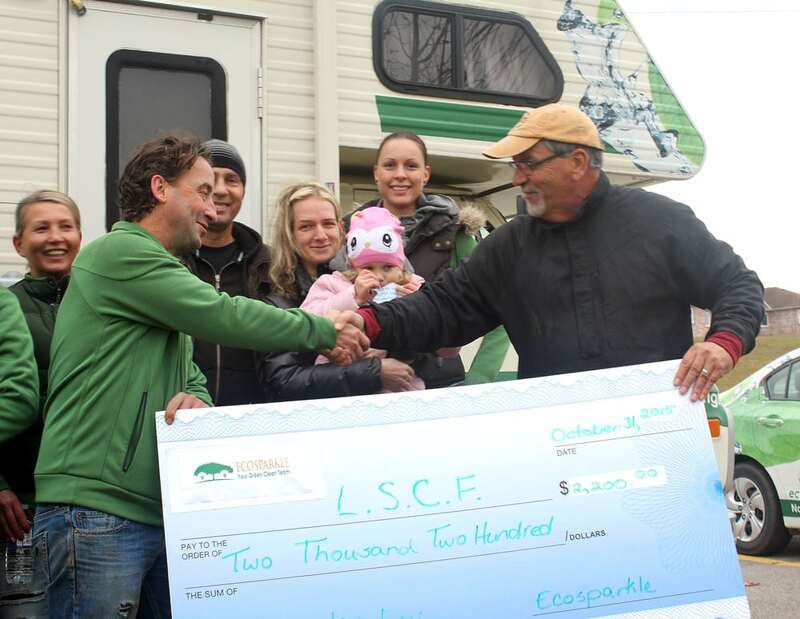 The event culminated with a significant contribution of $2,200 made to the Lake Simcoe Conservation Foundation by Csaba Szabo, President of Ecosparkle. We’d like to express our sincere appreciation to all of our customers for supporting this initiative. Together, we’ve helped to build a cleaner, greener future – and we can’t wait to do it all again next year! Be sure to stay tuned for a video recap of the event coming soon. Until then, we wish you a wonderful November! We’re York Region’s Reader’s Choice – 6 years in a row! We’d love to help you discover the Green Clean difference in your home, office or retail space! We’ve got 6 years of experience finding the perfect natural and organic, eco-friendly cleaning solutions for our customers, and have been voted ‘Best Cleaning Company’ 6 years in a row in the ‘Era Banner Reader’s Choice Survey’ right here in the York Region and the Greater Toronto Area! We invite you to schedule a free quote with our Green Clean Team today, and learn how affordable natural and organic cleaning can be for your family – backed by our 100% satisfaction guarantee!